Prisons Kenya women’s team won the senior women category title of the 2018 Makueni County volleyball tournament that came to an end on Sunday, the 23rd of September, 2018 at Unoa Sports Grounds, Wote – Makueni County. Prisons Kenya, under the stewardship of stand-in coach, Azenga Mavisi, won all their 4 matches played on a round-robin basis. In their opening match, Prisons Kenya saw off KCB, led by Coach Muthui 3-0; followed by a 3-1 win over league debutants DCI. They, Prisons Kenya, later edged out perennial rivals and current national champions Kenya Pipeline under the tutelage of Coach Margaret Indakhala 3-1 before finally winning their last match against Kahawa Garrison 3-0 to emerge winners owing to a much better win ratio compared to the other teams. Bankers KCB ended the tournament as first runners-up after winning three out of four matches. In their opening fixture, KCB upset Kenya Pipeline 3-1. They followed up that win with a 0-3 loss to Prisons Kenya before recovering to beat Kahawa Garrison and DCI in straight sets 3-0 respectively. Highly fancied Kenya Pipeline finished third after recording two victories and two loses, followed by DCI, who won one match and lost three. Nairobi based Kahawa Garrison finished in fifth place after losing all their matches. In the men’s final, Mombasa based KPA began their quest to bag the 2018 Makueni County volleyball Tournament title on a high after taking the first set 25-20 against pre-match favorites and current national champions GSU. The dockers matched the fifth ranked club in Africa, GSU, from the onset before establishing a lead towards the end of the set. The Dan Tali led charges failed to recover and eventually lost the set. The second set was equally very competitive, GSU fought off the challenge of the Dockers from the start before finally bagging the set 25-21, leveling the sets 1-1. They, GSU, won their second set to establish 2 sets to 1 advantage over their rivals before winning the fourth set 25-22, and eventually winning the match 3-1. The finals for the self-supporting teams saw Malex Logistics go down 0-3(18-25; 18-25, 16-25) to an impressive Katulye Volleyball. The schools and colleges category final was between the University of Nairobi and Katulani Primary School from Makueni County. The experienced University side won the match 3-0 to clinch the title. 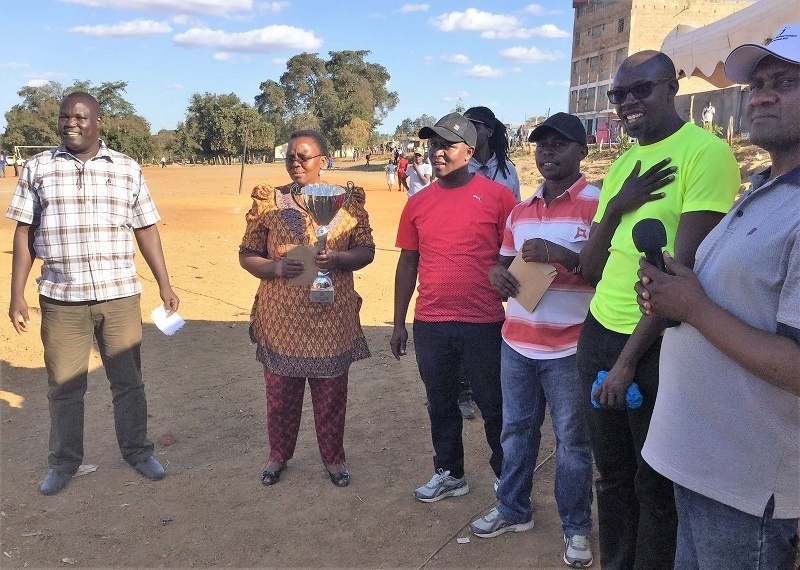 Winners of this year’s tournament were presented with trophies and cash awards by the Makueni County Sports and Youth Minister Dr. Naomi Makau who was accompanied by the County’s Youth Chief Officer Mr. Jonah Kyathe.